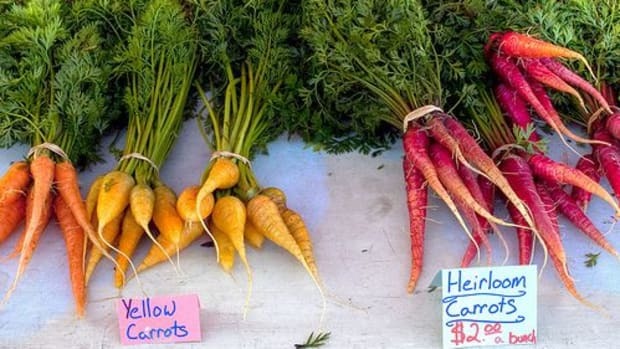 Visited a farmers market lately? Chances are, you have. Between 2002 and 2007, there were so many farmers markets popping up all over the country, that they were growing at an annual rate of 17 percent. But now, that rate has slowed to 5.5 percent per year. 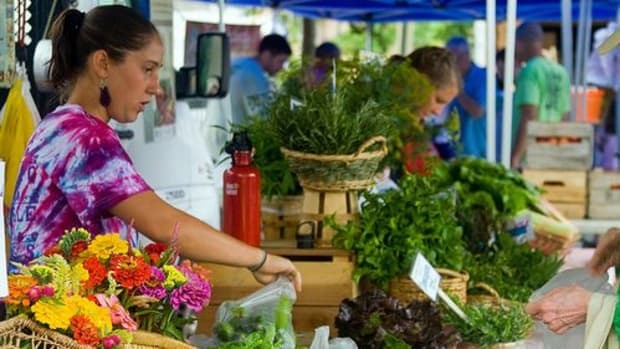 From 2013 to 2014, the number of farmers markets increased by only 1.5 percent. So, have we hit peak farmers market? Both the Los Angeles Times and NPR asked this question in light of a new USDA report, "Trends in U.S. Local and Regional Food Systems." As the report says, this stagnation could all be due to "plateauing consumer interest" in local food. 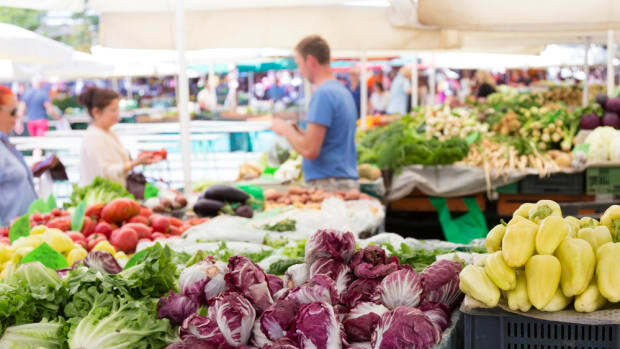 But the report shows that while local food sales at farmers markets and farm stands have gone down, more farmers are selling directly to consumers, through things like food hubs and farm-to-school programs. All of this highlights a major point: while it&apos;s a nice activity for us as consumers to casually peruse the farmers market once a week, grab a latte and an artisan loaf of bread, the time and money investment that farmers have to put in to attend them isn&apos;t always cost effective. "It&apos;s just not as cost-effective for producers to be face-to-face with consumers," Sarah Low, a USDA economist and lead author on the report, told NPR. "A lot of farmers like to spend their time farming, not necessarily marketing food." There&apos;s also the issue of "marketwashing." 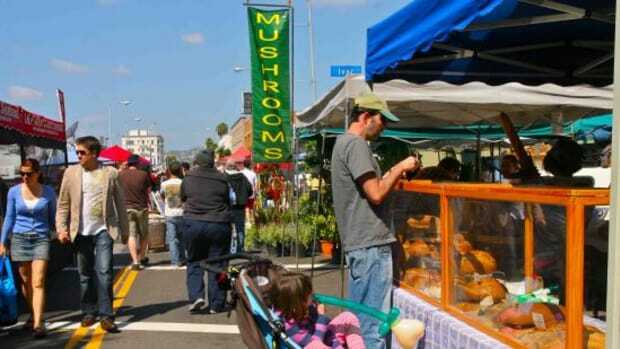 With the increase in popularity of farmers markets, slap "farmers market" on any type of market and it will attract a crowd, regardless of whether or not there are any farmers there. Market manager Diana Rodgers told the Los Angeles Times, "Everybody wants to put them in but they don’t want to make sure they’re valid farmers markets. 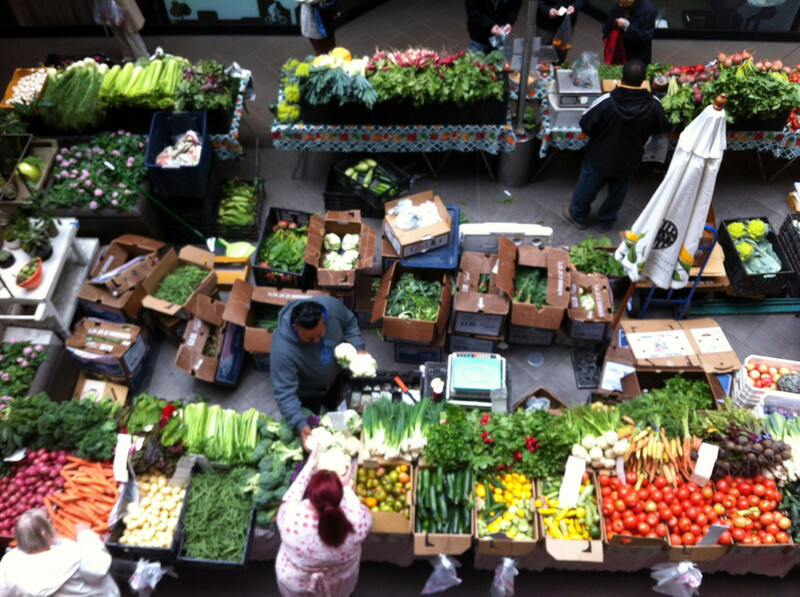 A lot of these are called farmers markets, but they’re not actually farmers markets. They operate in name only." 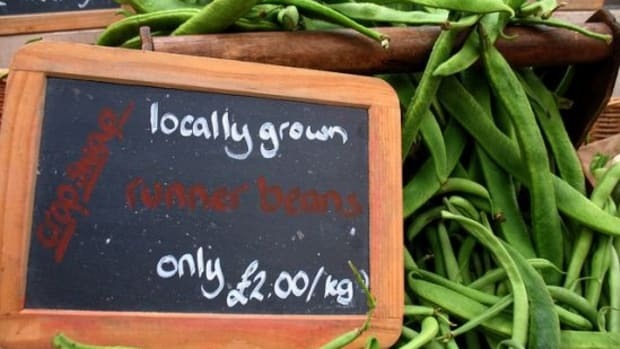 But if we have reached peaked farmers market it&apos;s important to note that this doesn&apos;t mean that we&apos;ve met peak local food; it simply means that we&apos;re at a crossroads for the local food economy, and we have the chance to make it better. Ultimately local food has to be cost effective to produce and distribute for the farmer, and easily accessible for the consumer. This is why food hubs are thriving. Food hubs are "regional enterprises that aggregate locally-sourced food to meet wholesale, retail, institutional, and even individuals’ demand." According to the USDA report, "they have become key entities in local food systems’ infrastructure allowing small and midsized farmers to adapt to increases in demand by outsourcing marketing to them." In other words, they are making it easier, and more cost-effective, for smaller-scale farmers to bring their goods to market. But food hubs don&apos;t just benefit the farmer, they&apos;re good for the customer as well. In one study cited in the report, it was found that "49 percent of customers reduce purchases from other sources due to the availability of food hub goods and services." There&apos;s no denying that as a consumer, being able to go to one place to buy all of your goods is more time effective than having to travel to three or four different places. But of course, there is always the question of economics, and in a system where agribusiness can easily keep the cost of industrial agriculture down, local food isn&apos;t always seen as a necessity by consumers. 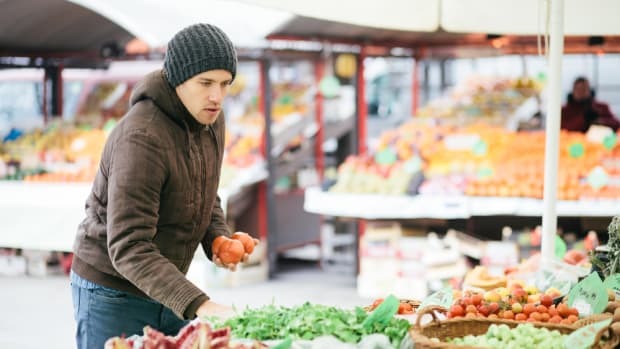 As NPR pointed out, "It could be that in tough economic times consumers cut out spending at farmers markets they saw as complementary and not as necessary." Of course, farmers markets don&apos;t just provide people with food, there&apos;s a community benefit as well. 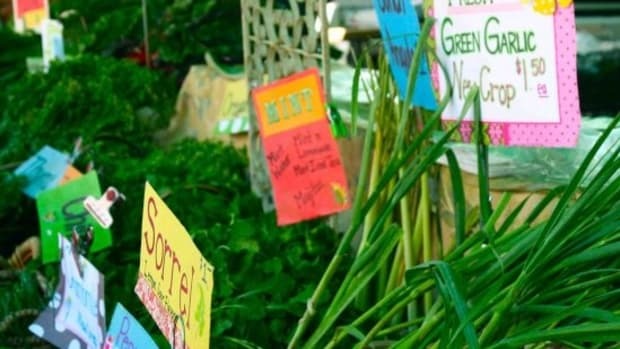 "Our country desperately needs social mechanisms to reconnect people to each other," Bob Lewis, the co-founder of NYC&apos; Greenmarket, told National Geographic last year in an interview about the rising number of farmers markets in the South. 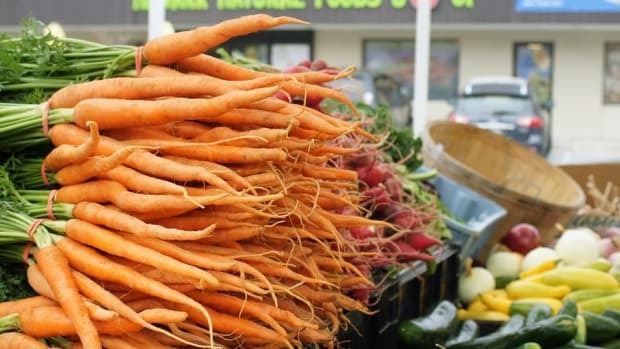 "A farmers market provides the consumer with a lot of choice and diversity; it’s a competitive environment, it’s an educational environment, and it’s a social environment. It’s a place that’s not predictable. It���s not Dunkin’ Donuts." Peak farmers market? Maybe, but that doesn&apos;t mean that the local food movement has stopped. It&apos;s just shifting gears, and that could actually be a good thing for both producers and consumers. As long as we continue investing in programs and initiatives that make real food accessible to everyone and that invigorate communities.